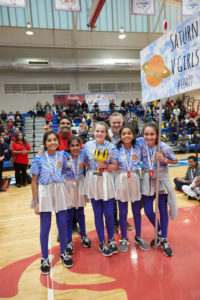 Months of exploring the complex world of the vast expanse of space have paid off for the “Saturn V Girls” team from the Hockaday School as they advance to the World Festival after taking first place at the North Texas FIRST LEGO® League (FLL) Regional Championship Robotics Tournament. Nearly 600 North Texas youth competed at the tournament Feb. 9 at Parish Episcopal School and Community Center. Students from Carrollton’s Prince of Peace Christian School came in second place. Both teams will participate at the World Festival April 17-20. Each Champion’s Award team was recognized for fully embracing the FLL Core Values while achieving excellence and innovation in the robot game and project. Produced by the Perot Museum of Nature and Science and supported by ARCO/Murray, Collins Aerospace, and USAA, the FLL competition featured 60 teams of nearly 600 young “engineers in training” who learned about research and experimentation, teamwork skills and robot-design strategies. Teams also built and programmed an autonomous robot using LEGO® MINDSTORMS technology to score points in 2.5-minute “mission” matches on a space-themed playing field. The Perot Museum of Nature and Science has been the affiliate and operational partner for the North Texas FLL region since 2008. 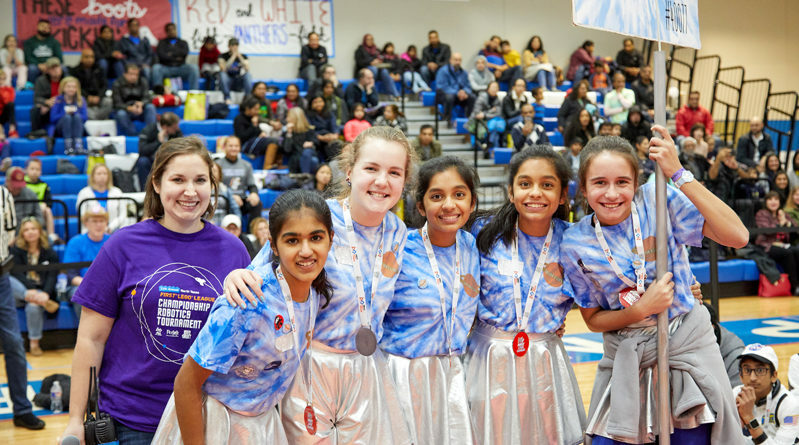 This year’s FLL journey began in August 2018, when 4,600 North Texas students ages 9 to 14 – and approximately 323,500 students worldwide – received the “Into Orbit” theme. They spent the next few months studying real-world challenges associated with the vast expanse of space and coming up with innovative solutions using science and technology. 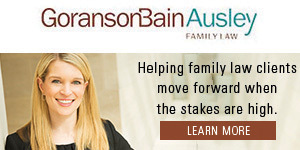 After qualifying rounds took place in December and January, nearly 600 North Texas youth qualified for the regional tournament. As a school, Hockaday won third place in 2017 and competed in the North American Open in California. They won first place in 2018 and competed at the World Festival in Houston.